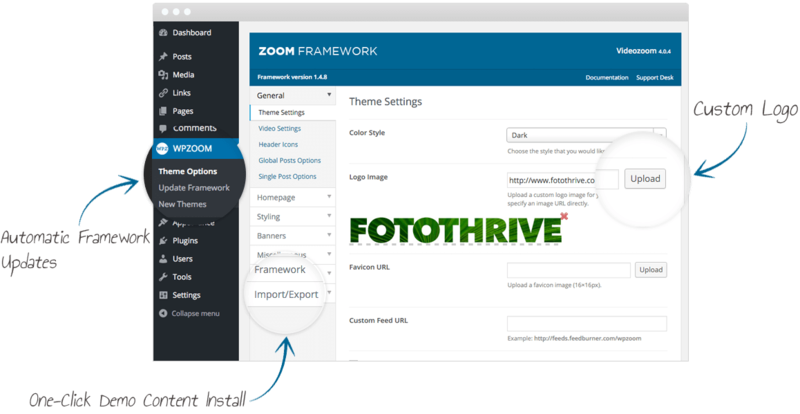 All of our themes are developed on a solid and easy-to-use framework. 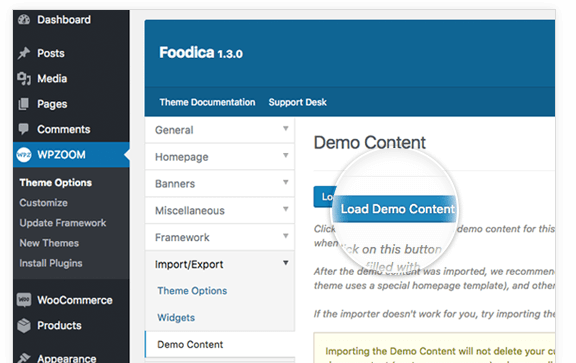 You can replicate the structure and look of our themes Demos with one click, by importing content, widgets and much more, just like in the demo. 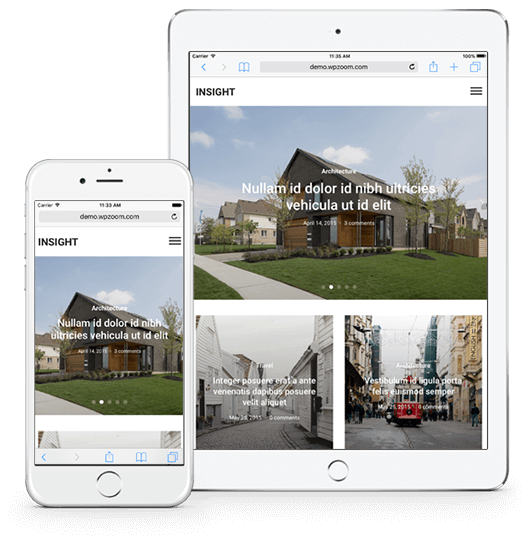 Your website will scale across mobile, tablet, desktop and more with no need to worry about what device your visitors are using. Your site will look beautiful at all resolutions and on all devices. Our themes constantly evolve in order to maintain compatibility with latest WordPress changes. 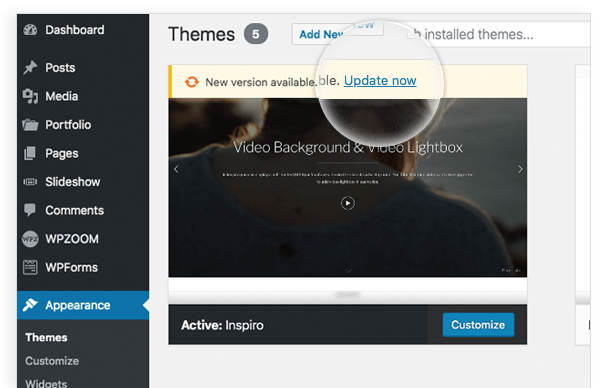 When an update is available, you can automatically update your theme with one click. You'll have your new theme up an running in no time thanks to our quick an easy installation process. The theme is well documented with all the information you need. 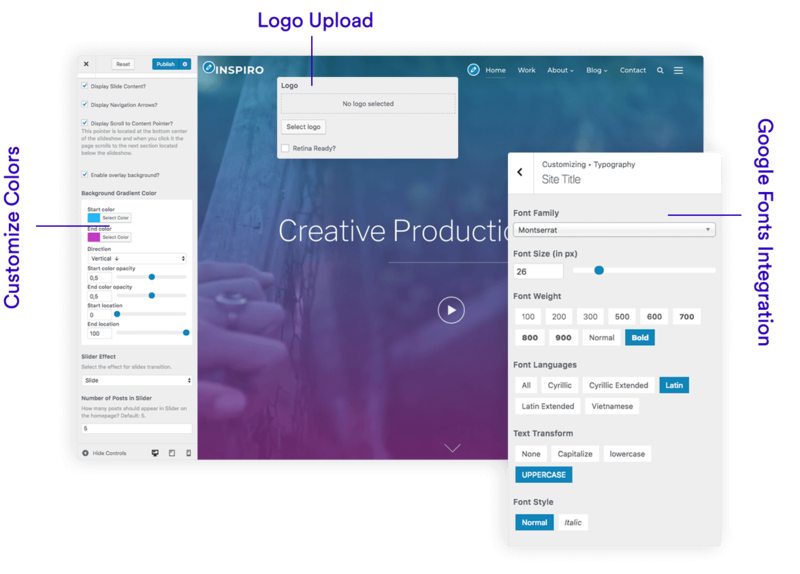 We'll make sure your theme is always compatible with the latest version of WordPress AND we'll bring you new features with frequent updates. Over 97% of our customers describe our customer support as "great". Ready to Find the Perfect Theme? Find a theme today at no risk - 14 day money back guarantee.